- SOUND POETRY Cracked JAZZ WEEK's Top 60! Ken Berman's Sound Poetry cracked Jazz Week’s Top 60 and has been playlisted on over 175 radio stations nationwide. It has also received rave reviews: "A Superb pianist and composer" (All About Jazz), "one of the premiere pianists of our time" (San Francisco CBS News), "an intuitive and lyrical album" (Jazz Weekly). Following up from Ken Berman’s CD Looking Forward — chosen as "One of the Top Ten Best and Most Important Releases of 2010" by critic Philip Booth in Jazz Times Sound Poetry includes eight powerful original compositions framed by two bold solo piano reinterpretations of jazz standards. Born out of Berman’s friendship with the late poet Eythan Klamka (1967-2011),— Sound Poetry - Berman’s 4th studio recording as a leader - builds on Klamka’s notion that "any true musician is a sound poet," and seeks to explore the intersection between musical and poetic lyricism. Berman draws inspiration from a range of diverse sources including Langston Hughes, Allen Ginsberg, Bob Dylan, Billy Strayhorn, Charles Mingus, Bill Evans, Bill Frisell and even Zen practitioner Thich Nhat Hanh, tapping deep into the realm of possibility in improvisatory art. 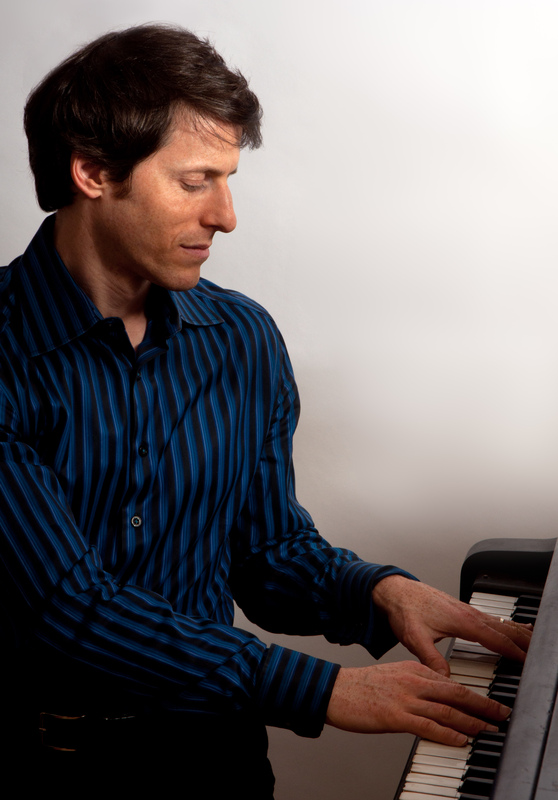 Pianist and composer Ken Berman has appeared on the famed stages of Carnegie Hall in New York, Yoshi's in San Francisco and Oakland, the Museum of Fine Arts in Boston, Detroit's Fox Theater, and The Sunside in Paris. Born in New York City but with roots stretching from New York and Boston to Detroit and San Francisco, Mr. Berman has performed and recorded with Bob Moses, Kai Eckhardt, Akira Tana, John Lockwood, Yoron Israel, Bob Gullotti, Jaleel Shaw, Take Toriyama, Remi Vignolo, Sarah Manning, Hadrien Feraud, Marc Van Wageningen and others: he studied piano and composition at the University of Michigan and Berklee College of Music, and with legendary jazz mentors Barry Harris and Charlie Banacos: he has been the recipient of several artist grants and awards for his ongoing work in jazz education. The SF Examiner.Com called Ken Berman "a fiercely imaginative pianist" and The East Bay Express praised his album Looking Forward as "daring," "original," and "straddling genres," and compared his playing to Vijay Iyer and Aaron Parks. Le Monde hailed him as a performer whose "complex improvisations are imbued with delicate sensuality and brilliance." Ken Berman's latest album, Looking Forward features a kinetic trio with bass virtuoso Kai Eckhardt and the legendary Akira Tana on drums performing breathtaking and inspired improvisatory jazz in the mold of Keith Jarrett, Pat Metheny, and Bill Evans, but at the same time sounding unassumingly unique and original. Cadence Magazine placed Looking Forward on the "cutting edge" of the contemporary jazz scene: "It's all a very good example of a modern piano trio playing original material that doesn't sound like stolen goods." Jazz critic Scott Yanow writes, "when listening to Ken Berman's trio it is easy to think of Keith Jarrett and Bill Evans, for Berman's chord voicings and his close interplay with his sidemen recall the work of his two predecessors. The difference is that Berman wrote all selections, he never copies Evans or Jarrett, and at times he sounds more advanced than either of them." 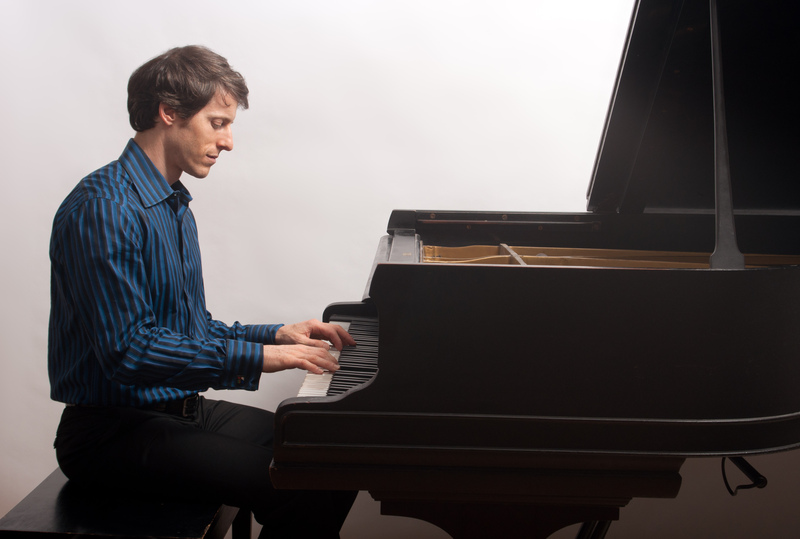 Mr. Berman's piano skills have drawn comparisons with an array of jazz piano greats, including Bill Evans, Ramsey Lewis, Keith Jarrett, Joe Sample, Richie Beirach, Vijay Iyer and Aaron Parks. 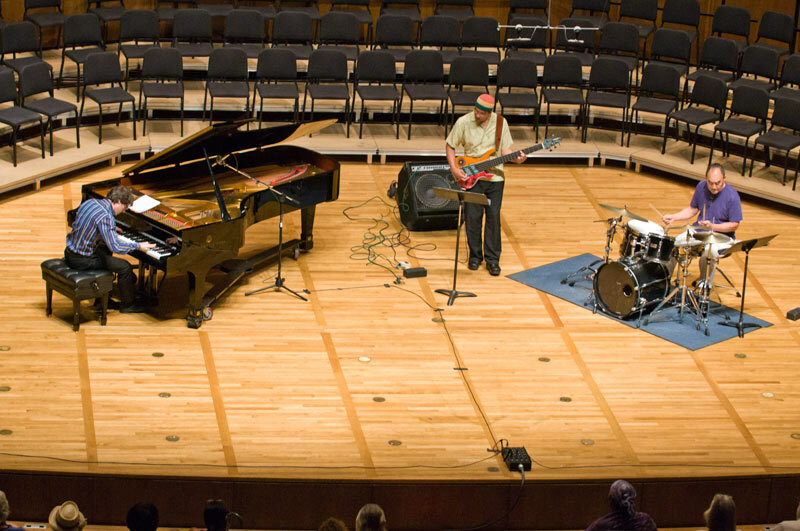 His critically acclaimed 2006 cd In Mind was rated one of the top 15 jazz releases of 2006 on the Jazz with Bob Parlocha website, and was added to the playlist of NPR jazz stations nationwide. In Mind features ten inspired original tracks showcasing his strengths as a composer and pianist, leading a combo that includes a host of extraordinary Boston-based jazz musicians, including John Lockwood on bass and drummers Yoron Israel and Bob Gullotti. The French newspaper Le Monde praised Mr. Berman as a "fluid and erudite" rising jazz star who "has been the talk of the town in the clubs and cafes of Paris, the [European] capital of jazz." Mr. Berman is currently on the music faculty at the University of California at Berkeley and teaches at Stanford University. New Album Release 2014 from Mmg Music on Vimeo. Here are some video excerpts of live concerts: The Ken Berman Trio, featuring Kai Eckhardt and Akira Tana, in a performance of the original composition "Delie"
Ken Berman, Hadrien Feraud (currently with Chick Corea) and Remi Vignolo performing the original "Old Style Tune" Live at the Sunset, Paris, December 2011.